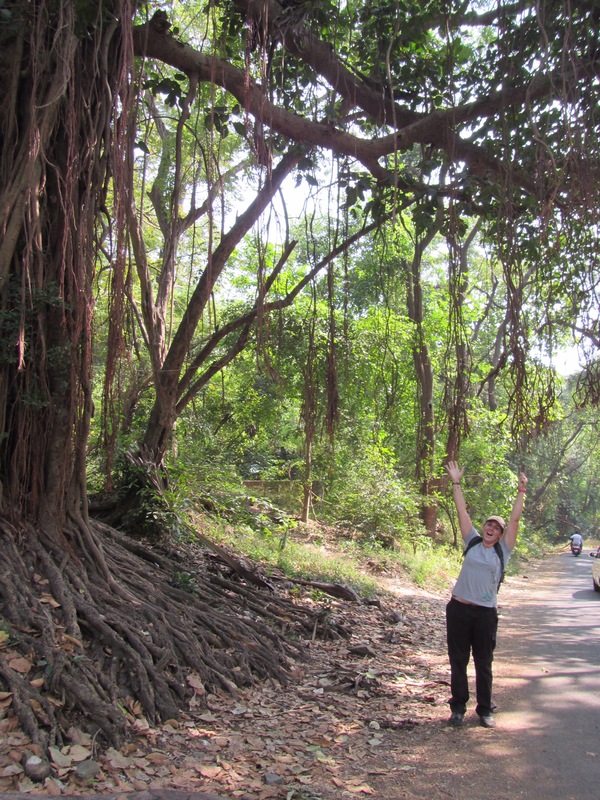 Had a much better nights sleep and, despite Jayne’s full-on head cold, we decided to head out of the city to visit Sanjay Gandhi National Park. Left the hotel and made our way to the 104-sq-km protected tropical rainforest. 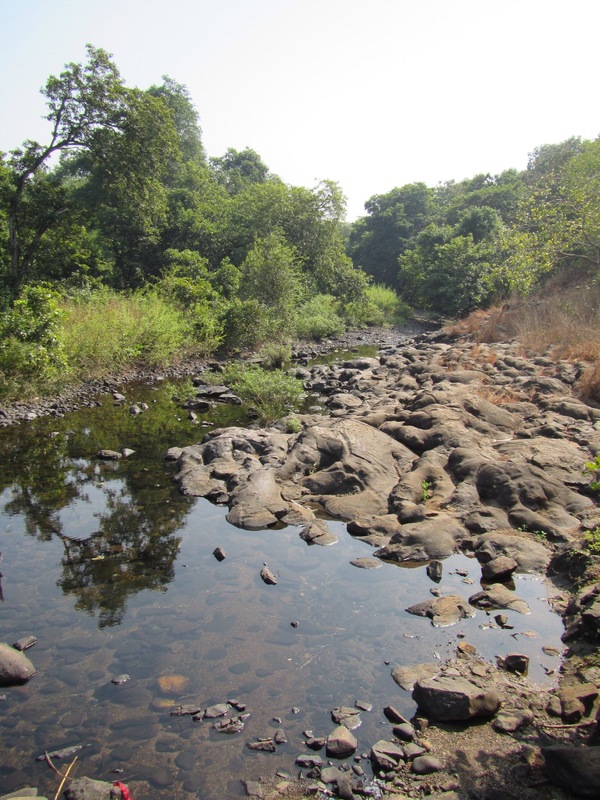 It is quite hard to believe that it was located at the end of our metro line, an hour out of Central Mumbai. 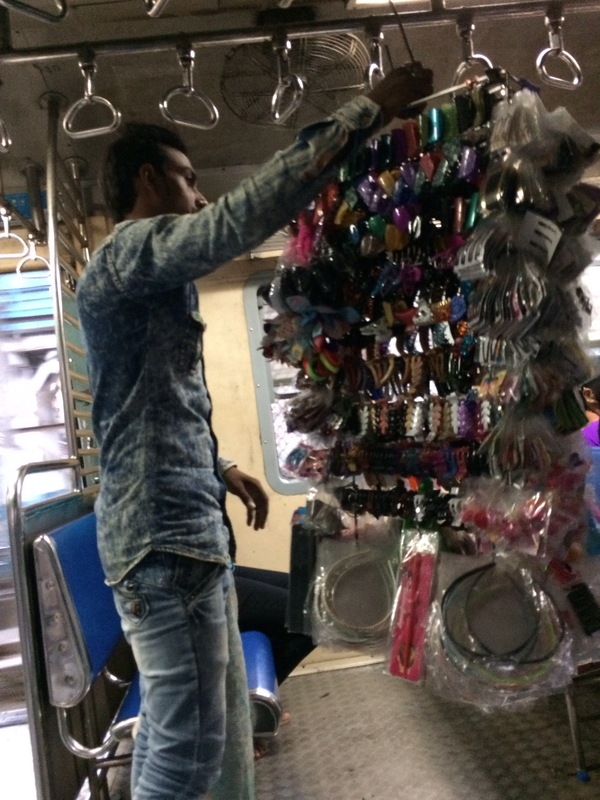 The metro ride itself was interesting as, at every stop, someone came on board with a variety of goods to sell – jewellery, hair bands, sewing kits, staplers, Rubix cubes… You name it, they sold it!! Got to the end of the line and, after a bit of help from some locals, we walked towards the entrance of the park. The park is filled with bright flora, birds, butterflies and animals. 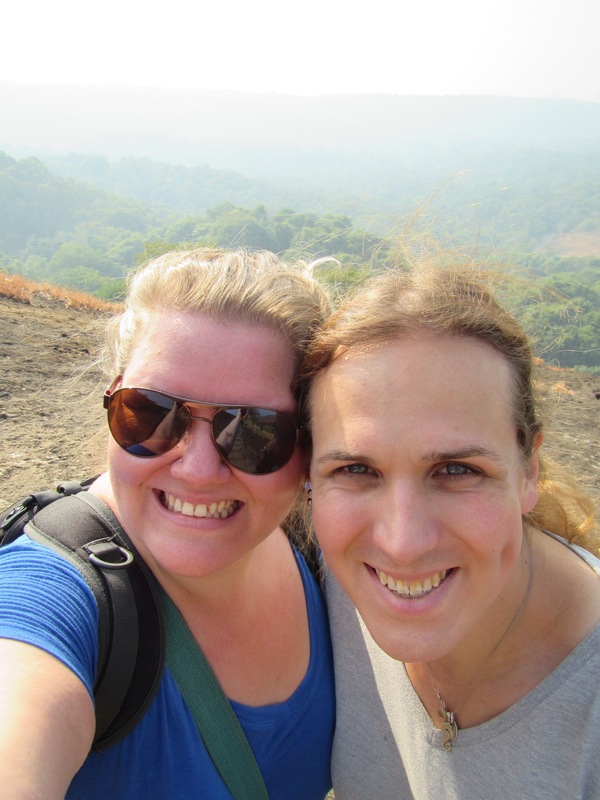 We saw wild deer and there are supposed to be wild leopards in the forested hills. 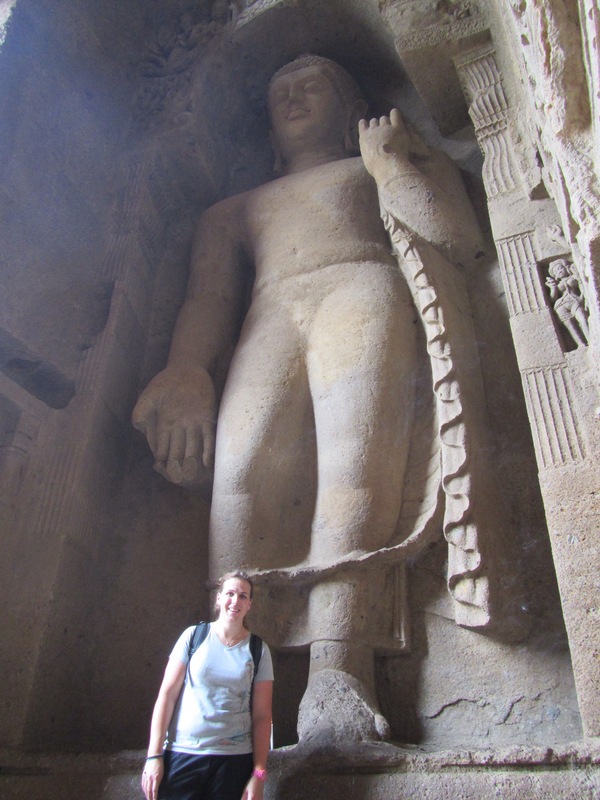 Walked the 5km from the entrance to the Kanheri Caves. 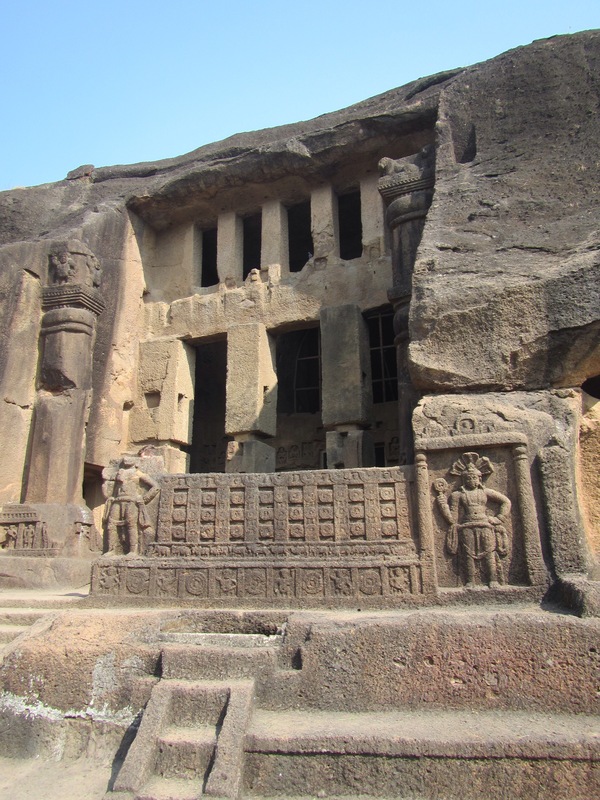 Lining the side of a rocky ravine, these 109 caves were used by Buddhist monks between the 2nd and 9th centuries as monasteries and temples and some of them had some amazing carvings, although we were totally spoiled by the elephant caves 2 days ago. 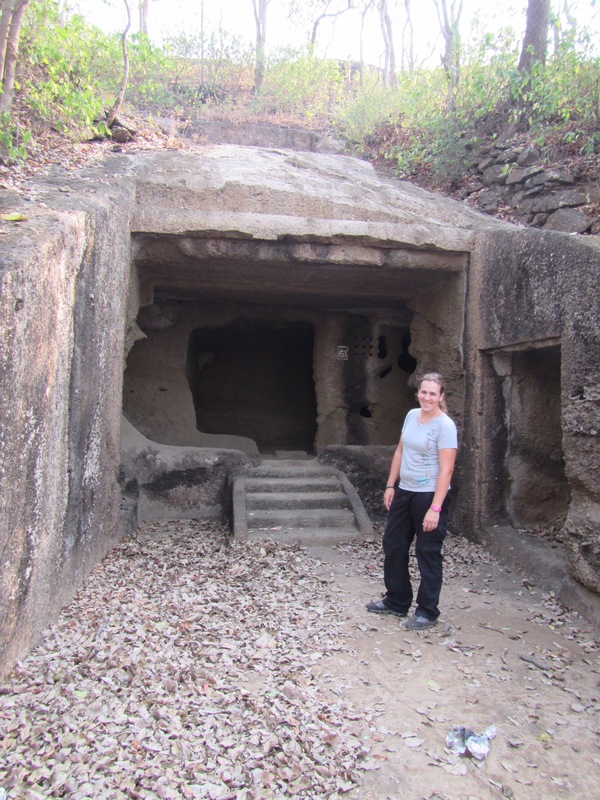 Didn’t manage to visit all 109 caves as the heat was blistering by the time we got there and the heights combined with her cold made Jayne’s head spin a bit too much! Found a quiet place to take a breather and enjoy the view before catching a bus back to the main entrance. Got a ‘Western’ perk by being allowed onto the bus at the drop off point before collecting the Indian tourists at the pick up point… Felt a little bad until I realised how grateful I was to have a seat for the 20 minute journey squashed in the sardine can of a bus!!! Walked towards the tiger orientation centres to get on another bus to visit the section of the park that has tigers and lions. 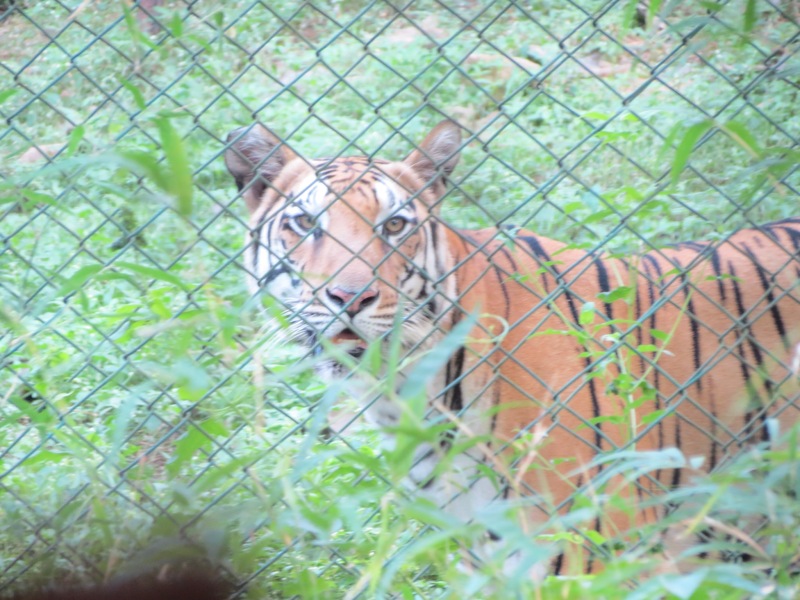 They weren’t allowing visitors into the lion section but we headed into the tiger section – got to see 2 tigers in a cage. The cynical part of me thinks they are there so that tourists are ‘guaranteed’ a tiger sighting. 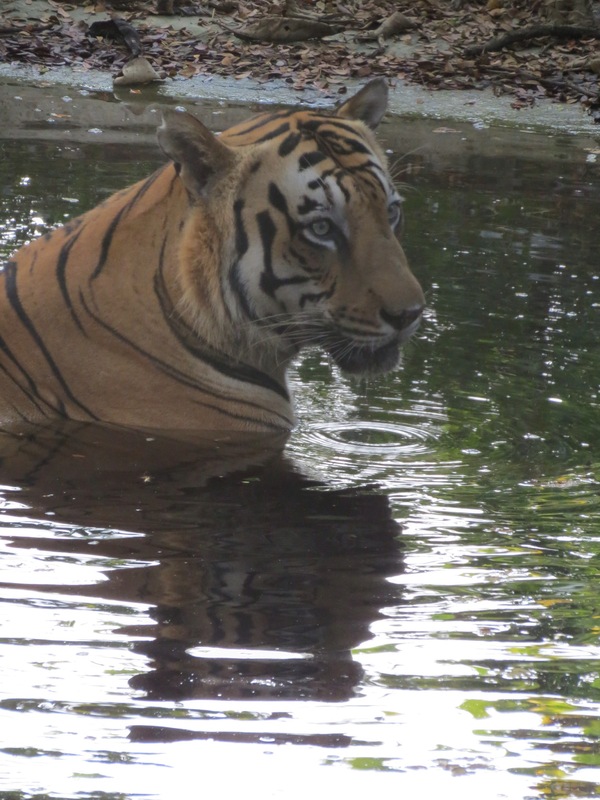 However, a little further into the park, there was a tiger bathing in a pond. It was so beautiful to see – Jayne took some fantastic photos through the window grill of the bus. Headed back towards the metro and our hotel via the film man again to add to our collection of films. Went a little mad and got 17 films on our USB stick for the grand total of £3.40!! Spent the evening planning our walking tour of the city tomorrow before we need to catch our train to Aurangabad.